When I first moved to Holland there were a lot of little things I noticed that were different than at home. Nothing of importance, so I just noticed and moved on. Now that I’m back visiting, all sorts of little, unimportant things are striking me as different and odd: things that normally people would never notice. So I thought it would be fun to take pictures of each one. 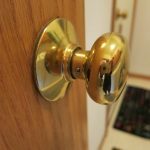 Doorknobs: In Holland most doorknobs are levers that you push down to open the door. Here they’re mostly round knobs. Toilet paper: It’s wider here. Parking meters: In Holland, if there are meters, there’s one for each block or so of parking spaces. 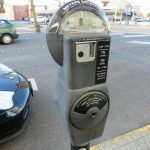 You have to walk to the meter, put in your money, print out the parking ticket, and put it in your car on the front dashboard so it can be seen and checked. Here there is a separate meter for each parking space. 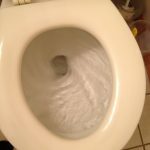 Toilets: They flush more slowly and create more of a whirlpool here. No idea why. 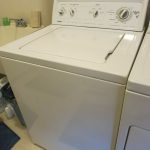 Washing machines: Here they’re top-loaded, and it’s best not to cram them too full. In Holland they’re front-loaded and you can cram a lot in, but you can’t open it up to add another pair of underwear once you’ve turned it on. 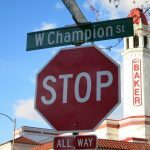 Stop signs: There are lots of them here. Generally, one road is the main road and the others have stop signs. Or they all have a stop sign, and then the one who arrived at the stop first gets to go first. I suspect this is just a first installment of a list of Odd Little Things in America. I’ll keep noticing and perhaps post more of them later this month. Are there any other odd little things I’ve overlooked? Dog owners are not as considerate in the US–that was the biggest difference I noticed. The US also does not have as many round abouts, however they are becoming more common. However my door handles in the US are levers, my washer and dryer are front load, and in downtown El Paso we have both meters for the block and individual parking meters. Great post Rachel. I love noticing the difference in cultures and places around the world. I was recently in Tokyo Japan, I living in Ontario Canada, and the toilets where the thing that stood out for me. Each of them had a ‘washing’ feature built right in. Thanks for sharing. Cheers. Funny. It’s amazing the things you don’t notice until you get used to a different way of life. We have both kinds of doornobs, different houses are different. And frontloaders are just coming in. We mostly have the kind of parking meter where you have to get a ticket and put it in the window, though those are more recent. Don’t even get me started about toilets! 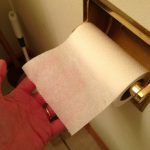 Back in the 80’s when I did the backpacking-around-Europe-with-a-Eurailpass thing, I wrote a detailed description of each country’s different toilet styles! Dutch ones, for example, had a shelf, so you could inspect what you produced before flushing (some of that type are still around). The French used squat toilets. And so on. Wat about the direction of warm water faucets? Or don’t the exist anymore?